Being able to age bucks on the hoof is very important to fulfilling harvest management goals. We are talking all about aging bucks this week. 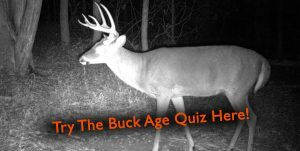 First we break down what body characteristics should be used in each age class of buck and discuss the best way to tell them apart. We finish with tips on making accurate age estimates and common mistakes to avoid while aging deer.